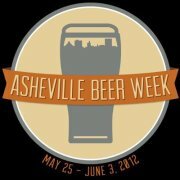 Asheville Beer Week, Thursday May 24 through June 3rd 2012, 11 Days of Celebrating Beer! 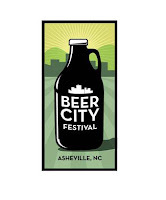 The first ever Asheville Beer Week, Thursday May 24 through June 3rd 2012, is comprised of 11 Days of celebrating beer in Beer City USA, Asheville, NC. "Our mission is to celebrate that nectar known as beer—to taste many different styles of beer and variations on those styles; to pair beer with a smorgasbord of delicious foods; to learn about and explore beer in all its delectable complexity; and, most of all, to have fun drinking beer in the brewery-centric mountains of Asheville, NC." Over 40 breweries will appear. There will be festivals, tastings, contests, prizes, seminars and more. The 11 day long event has been organized by Asheville's own regional beer industry professionals and will include as many bars, restaurants and breweries as possible. And timing couldn't be better with Asheville's recent yet again win for Beer City USA (in a dead heat tie with Grand Rapids, Michigan)! The event will kick off on Thursday May 24th at the Highland Tasting Room (12 Old Charlotte Hwy, Asheville) with a benefit for Ben Harris, a former employee of Redhook Brewing in Portsmouth NH, who was tragically killed in a keg explosion. There is no cover and all donations will go to the Ben Harris and Alysha Miller Baby Fund. The rest of the 10 days will be sandwiched between two festivals, the Just Brew it Homebrew Festival, and the Beer City Festival. The 3rd Annual Just Brew it Homebrew Festival will be held at The Wedge (125-B Roberts Street, River Arts District, Asheville, NC) on May 26th from 2-5pm, sponsored by Just Economics. The event is free to members of Just Economics (a not-for-profit organization that identifies and promotes local employers who provide a living wage) and for non-members, the $16 basic membership may be purchased for entry to the Festival. There will be over 100 home brews from which to sample, live music, contests and prizes. 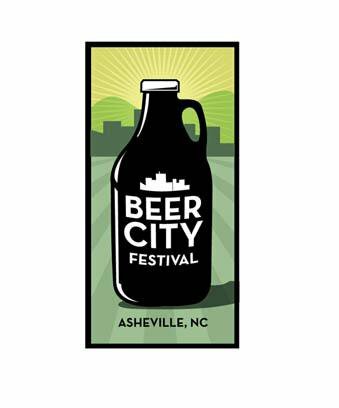 What better way to culminate Beer Week than with the Beer City Festival on June 2nd at the Roger McGuire Green in Asheville's downtown park. Tickets are $40 each and may be purchased at local Breweries, as well as at Brusin' Ales, Barleys Taproom & Pizzaria and The Thirsty Monk. Call Vacation-In-Asheville for your lodging needs. Stay at a Bed and Breakfast or Vacation Rental within easy access to the local breweries, River Arts District and downtown Asheville, as well as activities in and around Asheville, NC, the Blue Ridge Parkway and Western NC Mountains! Offices are open 9am - 7pm daily, 828 994-2627. Vacation-In-Asheville is a certified area employer of Just Economics.